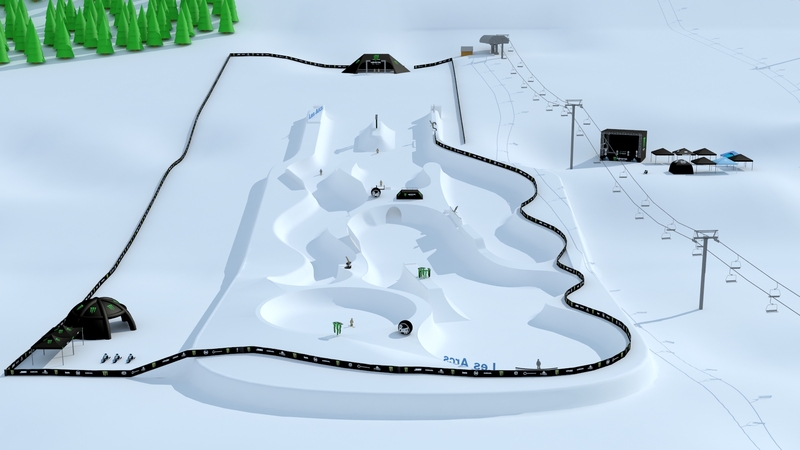 We are proud to announce that SNOW is the official video game partner of the B&E Invitational and that the event's course will be recreated in SNOW as a stand-alone level! This is only the second edition of the event but it has already proven to be one of the most exciting stops of the season. We couldn’t be more hyped about this awesome partnership. 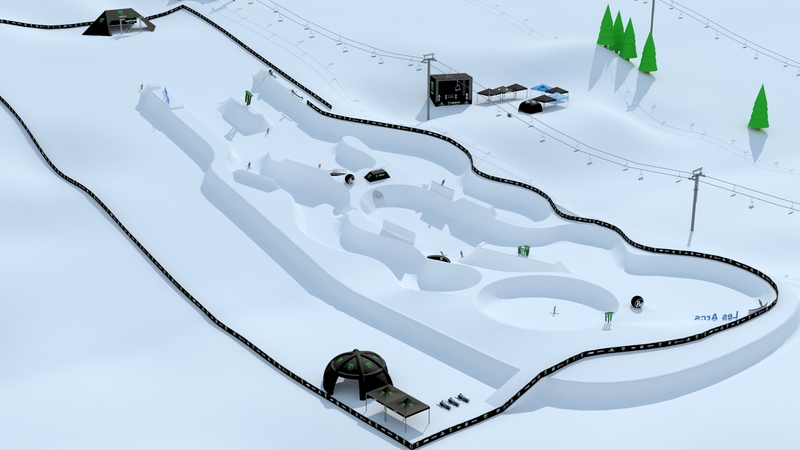 The event will take place again at Les Arcs 1800 in France on March 12 and 13, 2015 and will be hosted by two of the most creative riders to date, Phil Casabon and Henrik Harlaut. 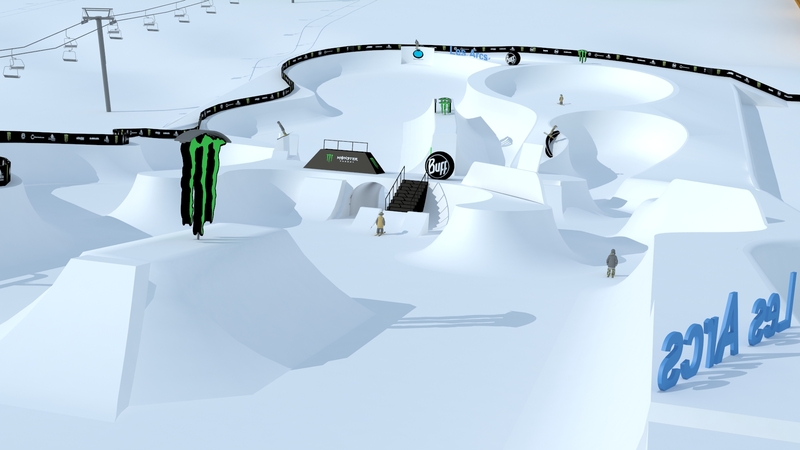 In addition to B-Dog and E-Dollo, some of the biggest names in the sports will be hitting the skateboard park-inspired course. So far, Candide Thovex, Tom Wallisch, and Torin Yater-Wallace are all confirmed to be joining the team of riders with many more to be announced leading up to the event. You can watch the official course reveal on the official B&E website. Here are some screenshot from the course. Over the next months we will be working on bringing this amazing course into the game and we hope to be able to present our work in progress in a follow-up post. This is awesome! Now we just need a level creator for ourselves! a level creater would be awesome. and maybe for fun snow skateboard things. When will we be able to play this?